Yes, we heard you. At Epichouse T-Shirt Printer, we understand that printing a t-shirt order is not easy. There are far too many information to digest, far too much to know. Hence, we bring to you our new T-Shirt Printing Help Center, a haven that provides all the answers to your questions. 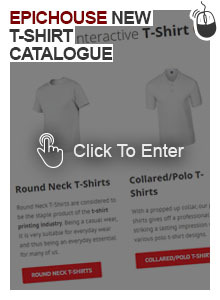 The t-shirt printing process to guide you along the way to get your t-shirts and designs printed!